The mess that comes with the writerly life is all well and good and Bukowski-levels of exciting, until the truth sets in that your people are moving on without you. I keep a first edition English translation of Haruki Murakami’s second-ever novella, Pinball, 1973 in my bedside drawer, tucked in a manila folder covered in Japanese stamps and shipping labels, in case of emergencies. The emergency in question? When I realize I’ve gotten too swept up in the storm of tireless hours and bigger pictures, when I realize I’ve forgotten how to live a full life and be present in the lives of my chosen family. Pinball, as the name implies, is a novella about pinball. That’s all. Well, really, it’s a book about obsession and the dark pits that we’re so willing to tumble down. Pinball is about gasping for air and accepting an airless existence. Murakami does not write about coming back to life, but rather, what it means to really live. I tear through Pinball, 1973 at least once a month to jog my memory. As a writer, it’s easy to get lost at sea, wherein the sea is deadlines and self-deprecations and anxieties over the next pitch. We’re all adept at concocting our self-contained brouhahas, over cavernous and depressing museums, and even more adept at relishing in them as a bid for validity. After all, it’s only a real job when you breathlessly clench your teeth. Dates are broken, parties missed, calls ignored—all in service of the art, or something. Then the invites stop coming, and the calls, too. While I can’t deny the sweet wave of contentment that comes from being able to work undisturbed, we all know waves come to thunderous crashes. Contentment turns to complacency, misplacedness, and finally panic: everyone knows how to live, but me. The mess—and the romanticization of said mess—that comes with the writerly life is all well and good and Bukowski-levels of exciting, that is until the truth sets in that your people are moving on without you. One of my greatest fears is to be forgotten by the people I love most, but the true fear, I’m discovering, is that my fear comes from a stark awareness of my own shortcomings. No one is forgetting me, I am simply not present enough, often enough, to make and maintain my mark. 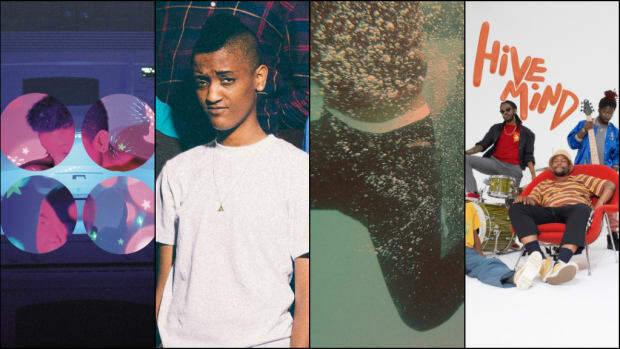 The music that I gravitate towards—ranging from the quiet to the triumphant to the Hennessy-drenched and moody—takes the mantra and lessons of Pinball and dresses them to the nines. 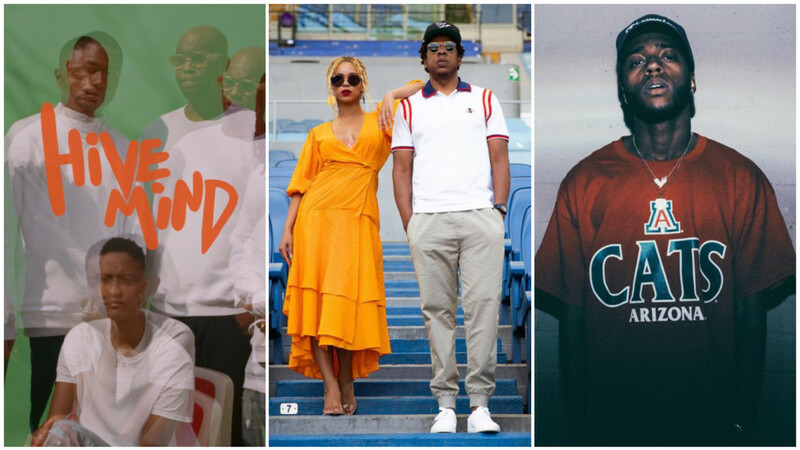 From The Internet’s Hive Mind to The Carters’ EVERYTHING IS LOVE, and 6LACK’s FREE 6LACK, my off-hours music is both a blueprint and reminder that life is to be lived, not worked or worried through. Easier said than done, but that’s why music players have a “replay” button. 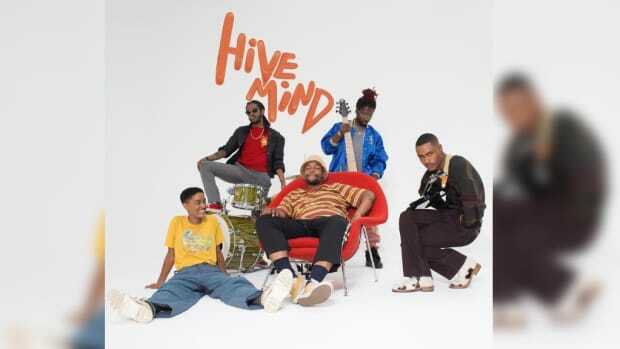 The Internet’s fourth studio album, their best project to date, Hive Mind is founded on chemistry and togetherness, just as much as it is enthralled by the minutiae that sum up true queer love and the importance of confidence. 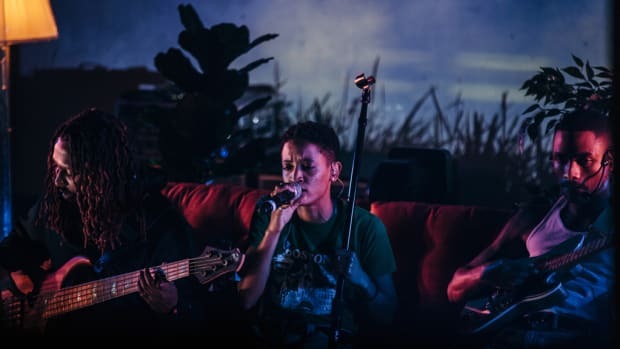 From inspired and explorative jam sessions (“Bravo,” “It Gets Better”) and breakdowns to tender odes to nights in (“Come Over,” “Stay the Night”), Hive Mind celebrates the moment and quiet in a way that altogether escapes me. When your entire life revolves around making good time, the prospect of stepping away is taunting. Spending time elsewhere feels like spending money you don’t have on things you cannot immediately register as valuable. As Hive Mind deals in a celebration of simplicity and how that simplicity can bloom into a celebration of life, I’m reminded that spending time elsewhere boasts an immediate return on investment. In that breath, “Mood” is particularly moving because time is all we have to give. Time is life’s currency. I can buy my girlfriend flowers, which I am sure she would love, but when I hand her a bouquet, really I am handing over myself and my time. I am saying she and our relationship matter to me, and time is the only currency that can communicate love, appreciation, admiration, and the like, in one. 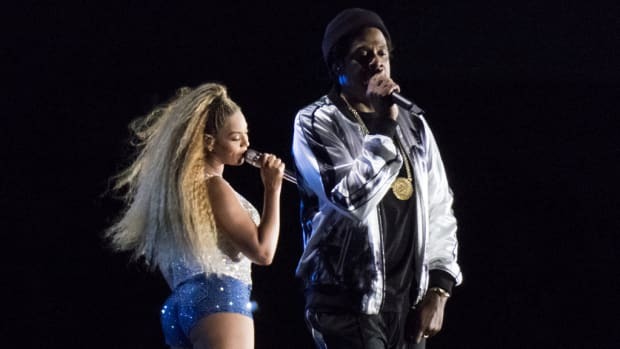 The loudest critique of Beyoncé and JAY-Z’s EVERYTHING IS LOVE is that the record is noticeably vapid, despite how entertaining and aurally pleasing it is, and that airy quality cannot be saved by the couple’s starpower. While that’s a fair criticism, there is absolutely a function for this type of self-congratulatory music. That is, it’s exceptionally therapeutic to hear about other people plainly enjoying their lives when you are actively trying to learn how to enjoy things in full. If the first family of hip-hop can find time to revel in the simplest aspects of family life, then so can I. Yes, the album is self-involved, but it’s also declarative. Bey and Jay are actively choosing each other, and for someone who has difficulty choosing themselves and woefully falls out of frame in critical relationships, the album is resonant in that way. This is why “HEARD ABOUT US” is endearing and triumphant: the song has no agenda beyond asserting how jazzed Bey and Jay are to be alive and married to each other. Relationships demand choice and presentness, famous or otherwise. It’s easy to stop answering your phone; that’s truer than we’d all like to admit. EVERYTHING IS LOVE does not necessarily make presentness sound easy, but it certainly makes the practice sound rewarding. FREE 6LACK is not a happy album. 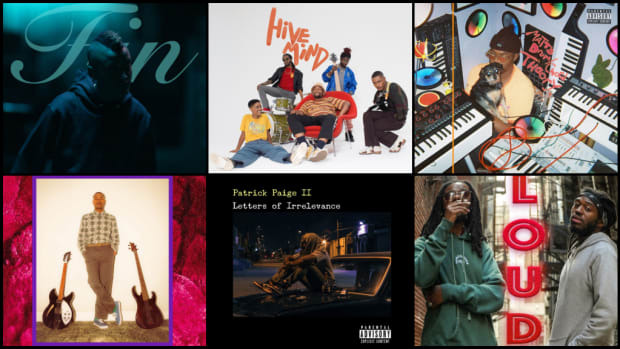 Unlike the funk grooves of Hive Mind or the Houston-by-way-of-New-York party that is EVERYTHING IS LOVE, FREE 6LACK is a detour through the doldrums. 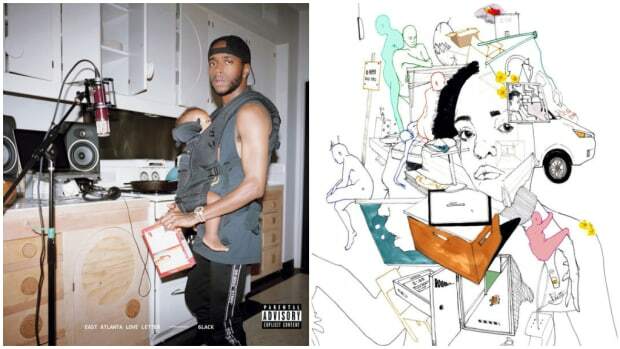 Amidst calls from exes and spiteful boasts about moving on, 6LACK’s debut album also hits at the heart of a major anxiety. That is, how do you relax? And, secondarily, what, exactly, is the right way to relax? In no small part thanks to my neurotic personality type and desire to be thrust into chaos, I have an inflated yet ambiguous idea of relaxation. So much so that three hours into trying to take a break, I panicked that I was not unwinding correctly and went back to work. It was Saturday. I was reading. This reads as trite and silly because I am still ashamed of the intensity of the breakdown. Certain things we must learn to laugh off. Here, FREE 6LACK is instrumental because of its focus, both in sound and in content. 6LACK’s needle-fine dedication to his gloomy sound tunes me to the present, and his writing is just specific enough to encourage immersion in his world while simultaneously reflecting on my own. That’s why “Gettin’ Old” is so successful. It’s a tender bad boy’s ballad, yes, but there are subtle notes that speak to me and me only, particularly when 6LACK denounces going out in favor of staying in, melting away my worries over not knowing how to enjoy myself the right way. Hive Mind, EVERYTHING IS LOVE, and FREE 6LACK all teach by example. There is a life outside of emails and frustrations over the page, there must be. Existing in the present moment, if we’re being pedantic, will only make the work easier. More life experiences lead to more ink spilled. Or, “You gotta go there to come back,” as the Stereophonics would say. Most importantly, we—really, I—should remember that success is quite bitter if it’s not shared. Letting relationships wilt is rarely worth the accolade. No matter how many to-do lists and schedules I make, life is happening now. Now is when the people I cherish need me—there’s no checkbox for family. Here’s what these records and Pinball, 1973 are really telling me, and what I am really telling myself: don’t forget to enjoy life before you’re out of life to enjoy.